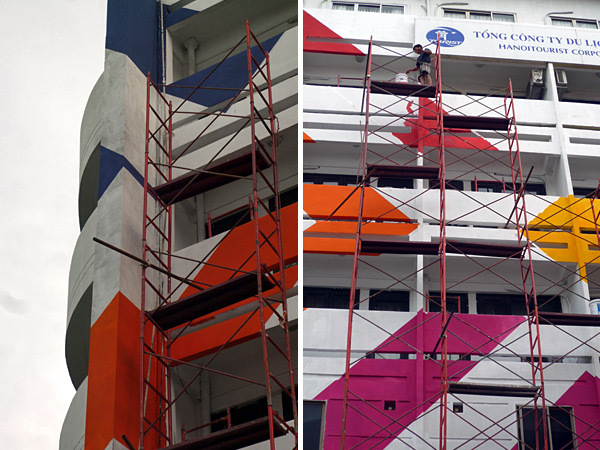 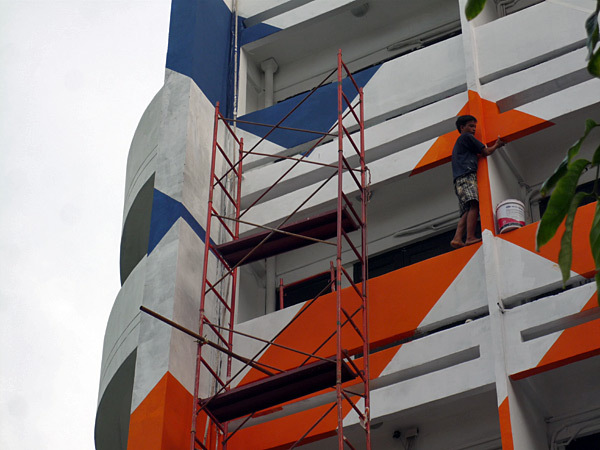 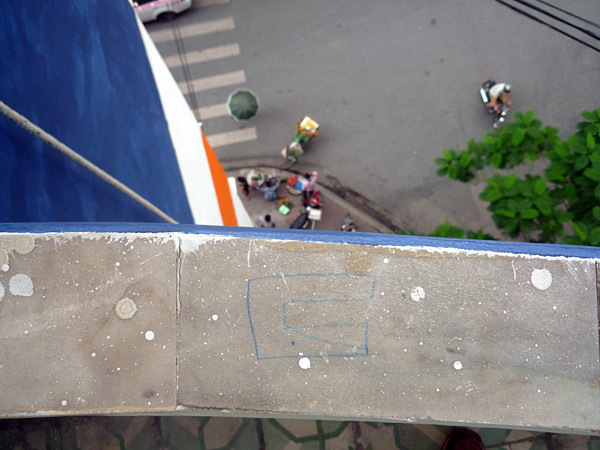 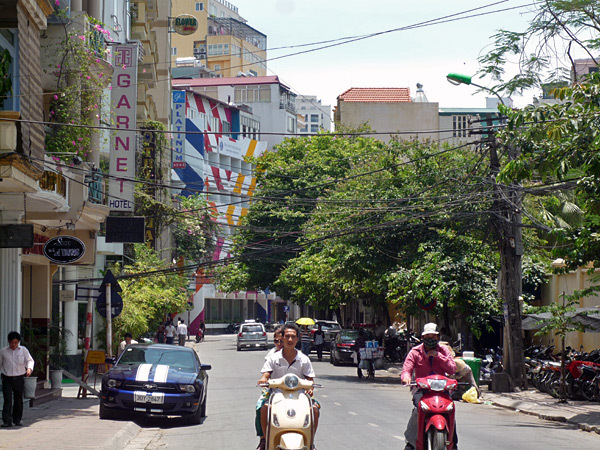 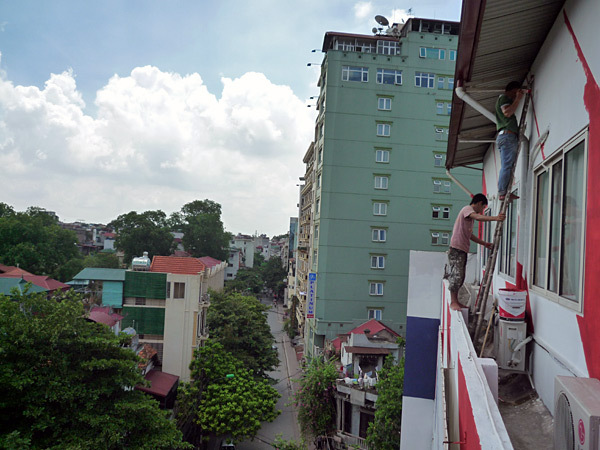 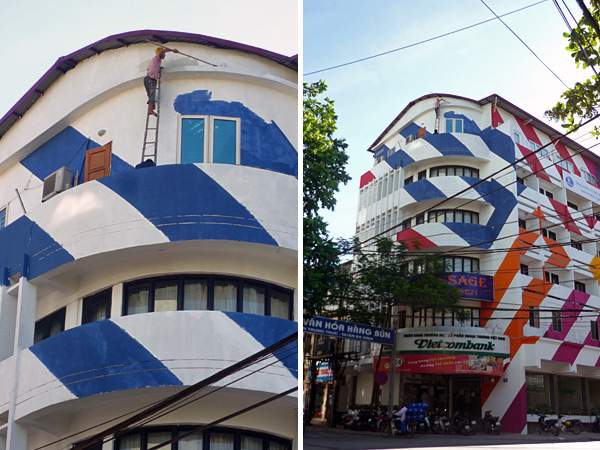 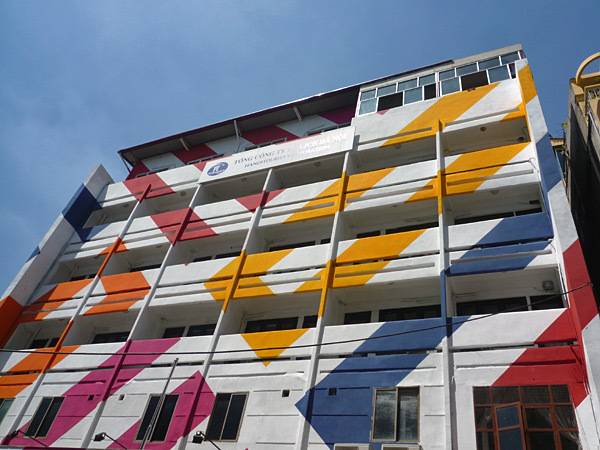 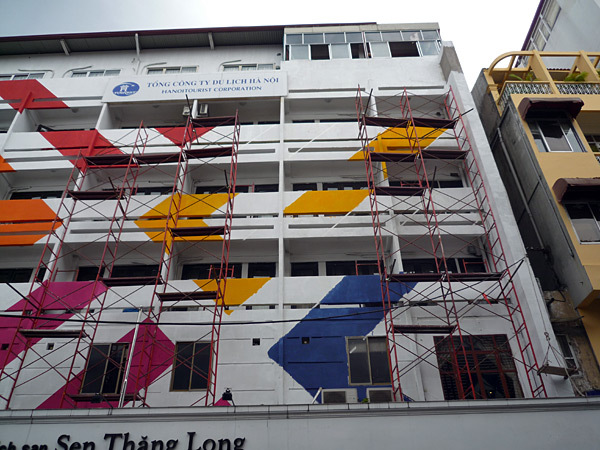 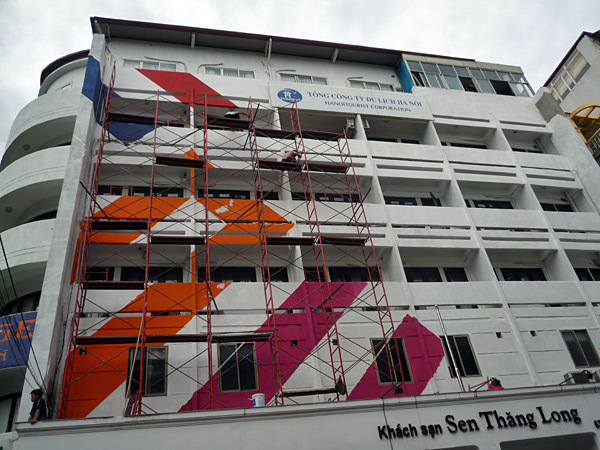 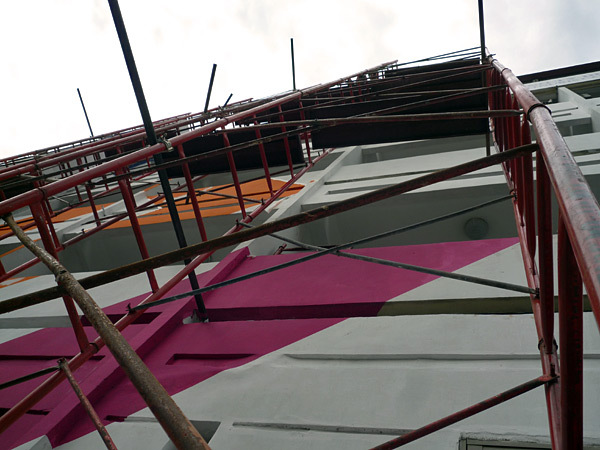 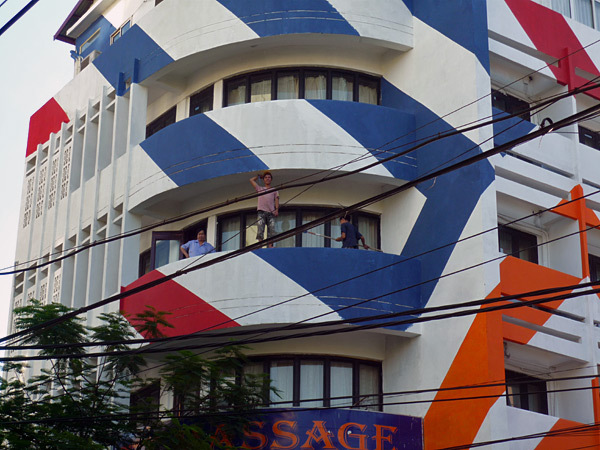 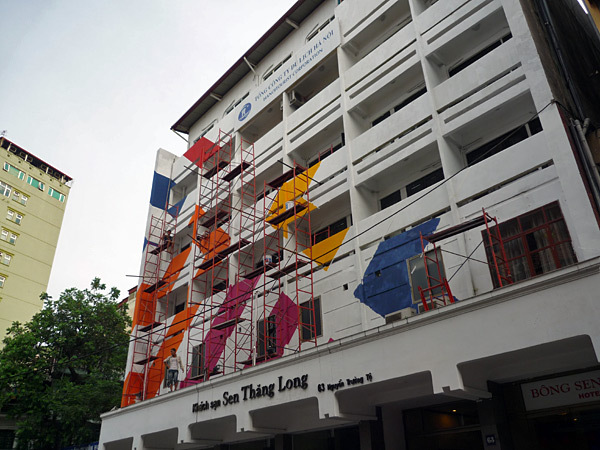 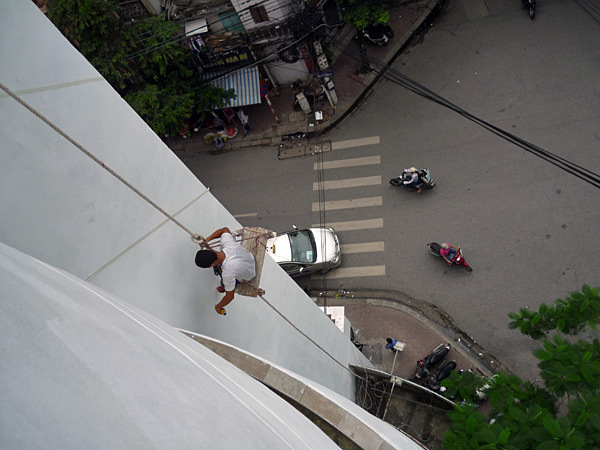 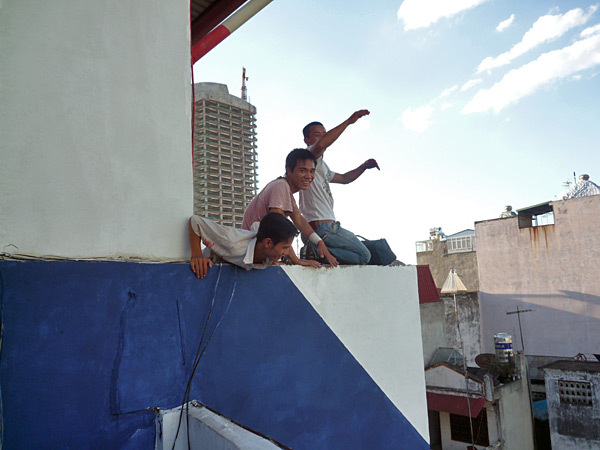 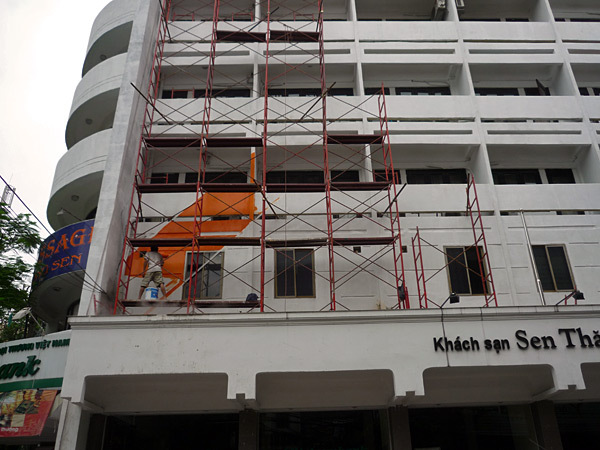 At the end of June 2010 I was invited by the Spanish embassy in Hanoi to paint the facade of the Sen Thang Long hotel, in Nguyễn Trường Tộ street, close to the Old Quarter. 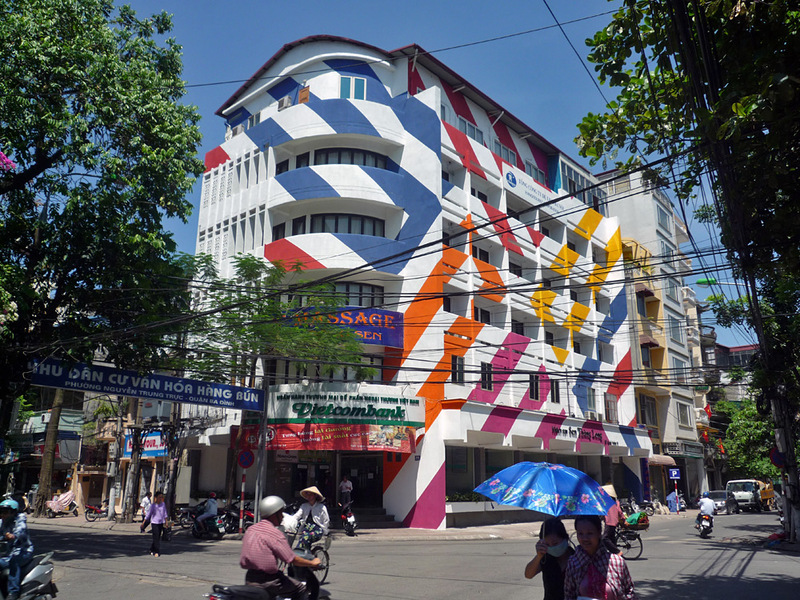 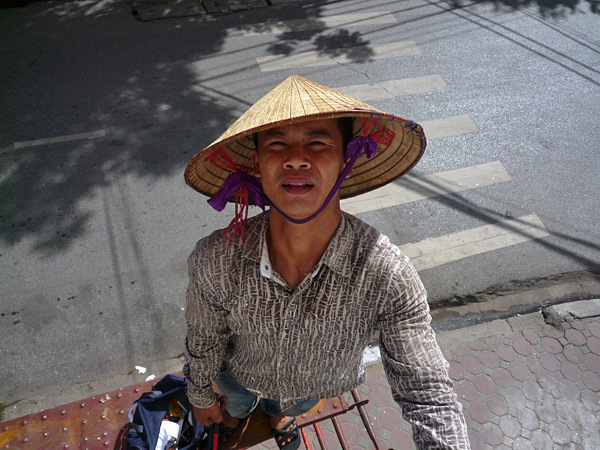 I spent 20 days there and was helped by Duy, Bái, Thăng y Nhi, four painters used to extreme working conditions, who ended being my hosts and allowed me discover the city and Vietnamese culture in a very unusual and authentic way. 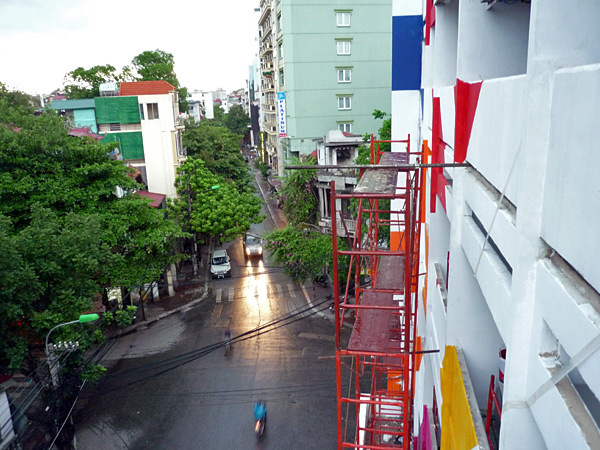 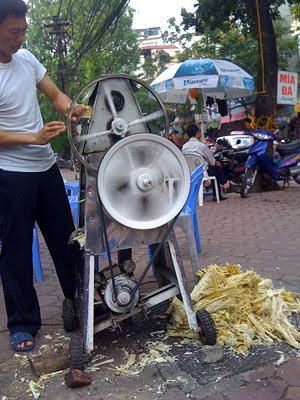 On the fifth day we had to stop because of the rain and when it's raining in Hanoi, it's raining! 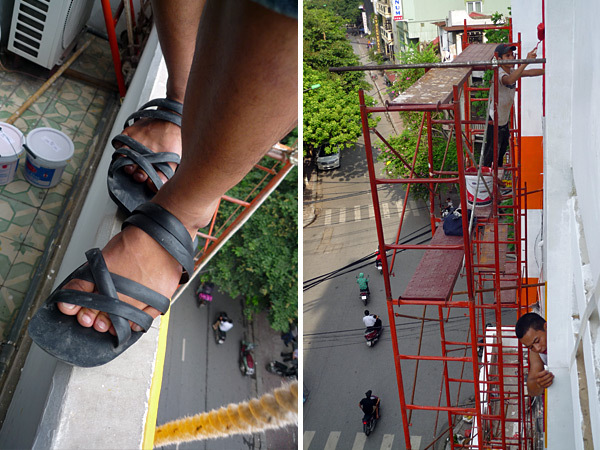 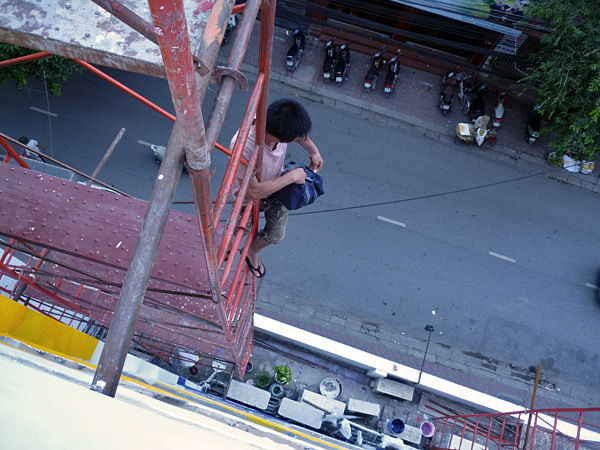 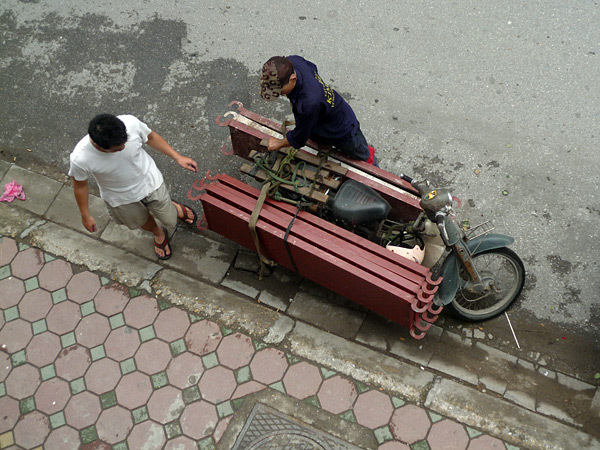 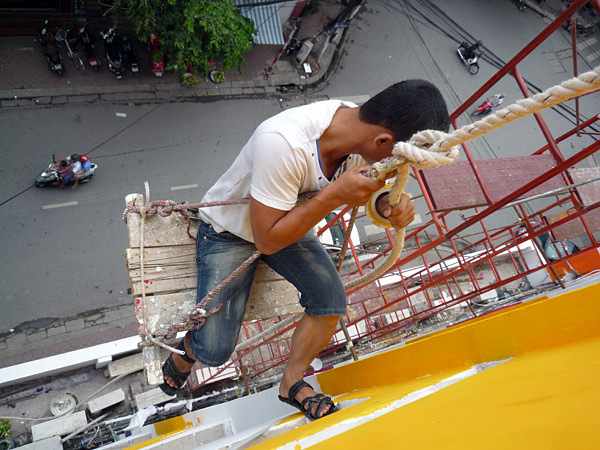 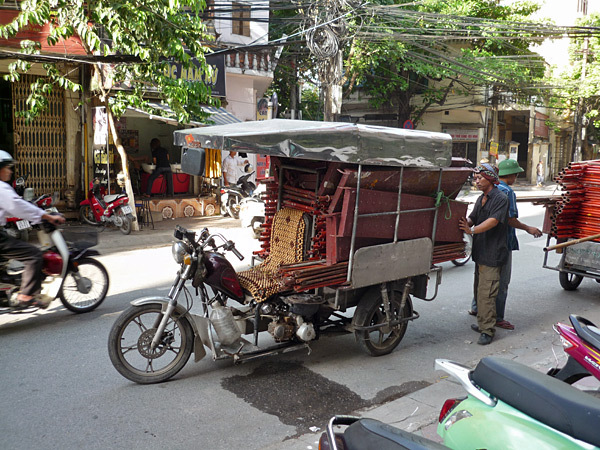 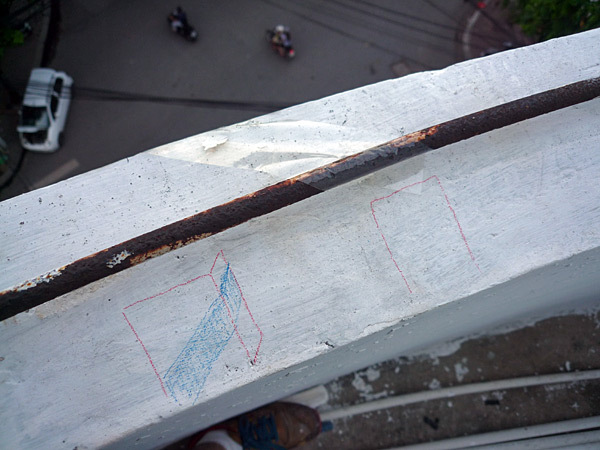 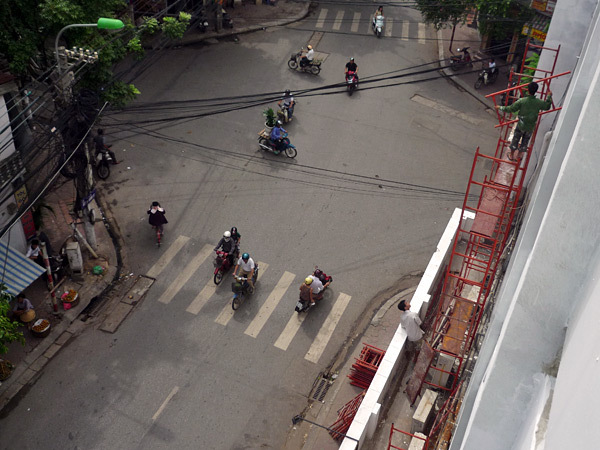 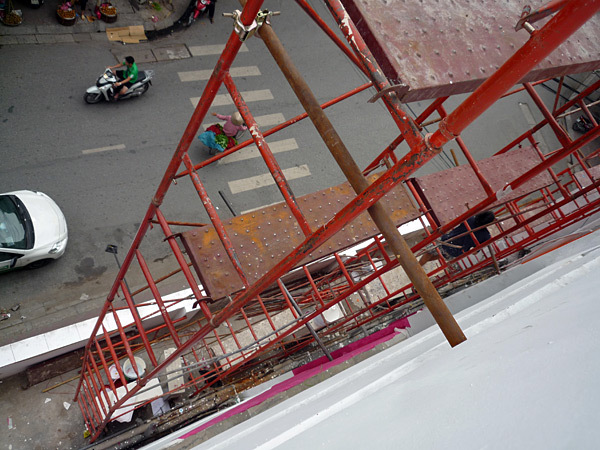 The scaffolding left as it came, by motorbike. 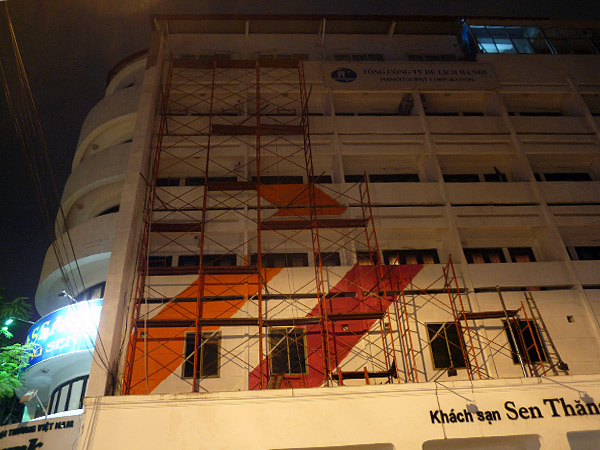 The finished facade after 15 days of work, click on the picture to enlarge. 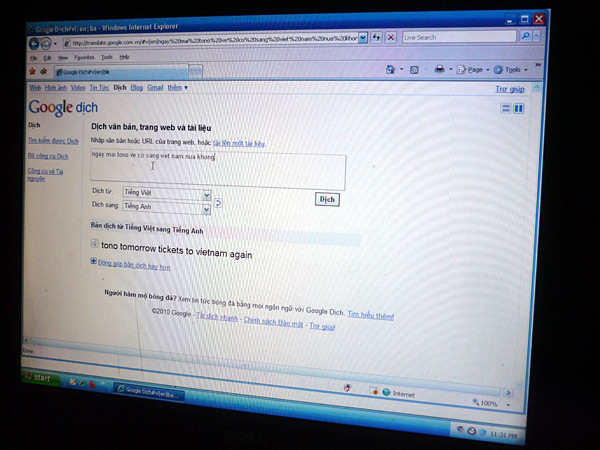 My assistents didn't speak English and as I don't speak Vietnamese we were forced to be creative in our methods of communication. 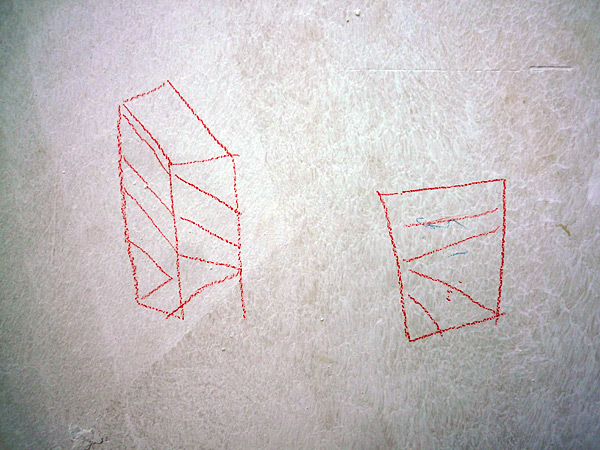 We used mobile phones, cameras, sign language and even sketched numbers, words and symbols on the wall while we were working. 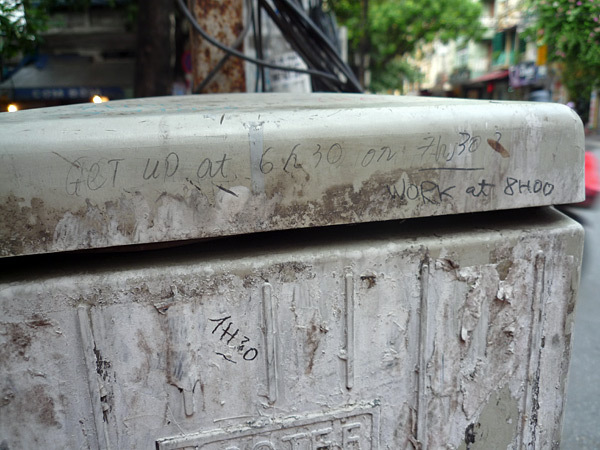 Trying to agree on the time we would meet the next day. 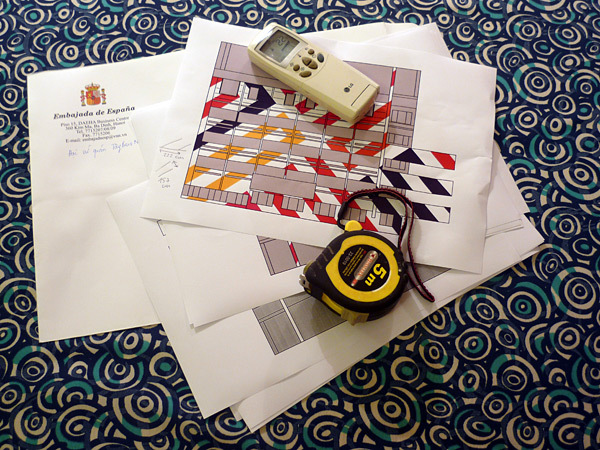 At 1'30 in the morning Spain was playing in one of the preliminary rounds, and I was trying to make it clear that I couldn't make it to work before 8! 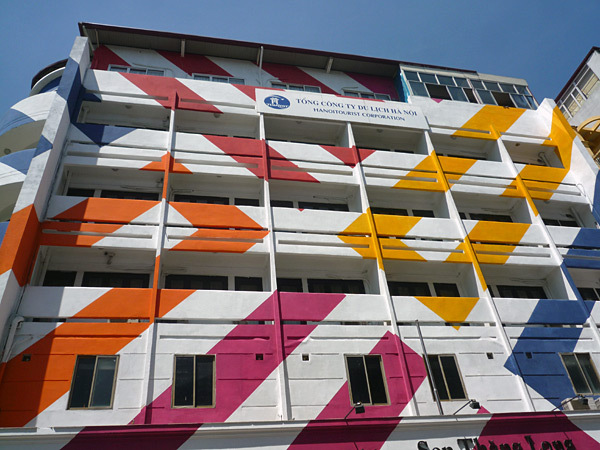 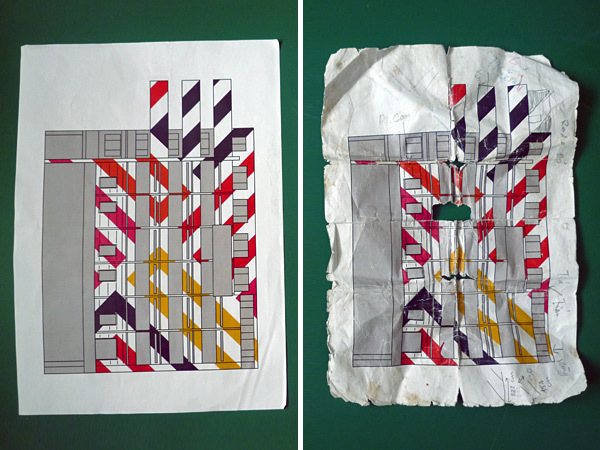 The facade sketch after 20 days of bad treatment and extreme humidity. 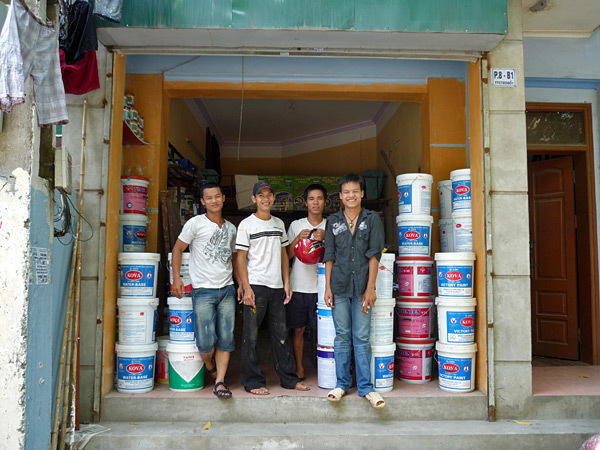 Duy, Nhi, Thăng and Bái in front of their shop in Thanh Xuân, a neighborhood in the south of Hanoi. An incredible experience that was made possible thanks to Cesar Espada, Mónica Gutierrez, Duy, Bái, Thăng, Nhi and Thin, Mr Hai the hotel director, Eugenio, Nga, Chi, Ming from Bar36, the corner fruit sellers and Mrs Phở.